There are several different applications when goose hunting. One of them is hunting open water, like lakes or rivers; and typically, hunters who are out targeting ducks will often throw out half a dozen goose decoys and try to get a hit from an off-and-on fly-by flock of geese. This doesn't always work – duck loads are sometimes much too "light" to bring down a big goose. 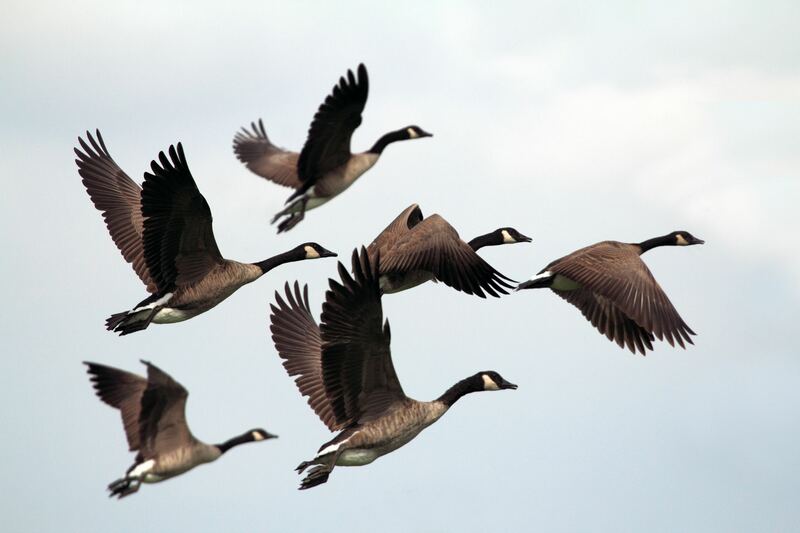 Goose habits and flight patterns, along with calls and the like can be different than ducks. The variables mean that those who don't specifically go after geese -- the duck hunters -- may not get one. If you are one of those who is duck hunting, don't be dismayed if your duck load won't get through the tough outer skin of a goose, or its very strong insulating feathers. The geese need some real knockdown power, and you need to pound them. Savvy goose hunters recognize that a body shot, whatever the load, may not knock down a goose. Guide, Phil Schweik's suggestion is that you try and shoot the goose in the neck or head area -- and that's surely true if you're duck hunting and target a passing honker. Many serious goose hunters will hunt on crop fields. And when open field hunting, they will set up right in a corn field. Indeed, some farmers will actually leave a couple of rows of standing corn so that hunters can conceal themselves. Goose hunters, like all others, must get permission to hunt private land. Farmers, being the good people they are, will usually grant such permission to those who are courteous and respectful of their land and property. Indeed, farmers don't much like geese (geese can wreak havoc on crops), and often farmers are hunters themselves. When field hunting, you can set up in a ground blind or what is called a "layout blind." That's like a box (some use the term "coffin") that opens on both sides. You lay flat on your back right in that box, and the only thing exposed are your eyes. You put decoys all around you, and you're literally in the middle of it all. As the geese come in, they will often land right next to you at times. All you have to do is sit up and fire. This method, according to guide Phil Schweik works "big time." Some shots, he says, are, at times, five feet away. There are different kinds of decoys -- water style, and land. The land decoys can be really "neat." They've got decoys showing the geese standing in the field, or "wing flappers" -- both electronic and natural wind driven, where the geese flap their wings. Calling techniques are very important, as well. For goose hunting, a 12-gauge shotgun will PROBABLY do a good job, but you're definitely going to need "goose loads' -- larger shot and longer range. A number two, or BB-sized shot are just two examples. Many real serious goose hunters go to a 10-gauge, long-barrel shotgun. There are many different chokes; modifications; what they call, "improved cylinders" and the like -- the choices are endless. Best suggestion is to talk to friends who goose hunt, consult a guide, or discuss it with a gun shop. There is no single "right answer." Choose the particular set-up that is best for YOU. 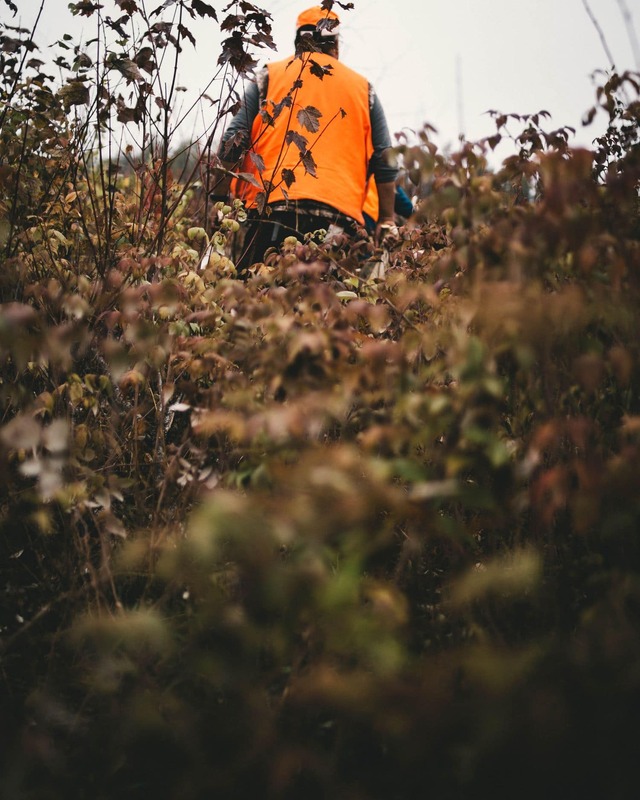 In future articles, we'll discuss decoy placement, calling techniques, and concealment.